We promised never to make a Hefeweizen… And we didn’t! But when friends of the JLA Foundation asked about possibly making a beer to honor the memory of Jeff Anderson and commemorate the 2016 JLA Banked Slalom, we couldn’t possibly say no. And to make it that much more special we vowed it would be the only time we’d consider making an American Wheat. 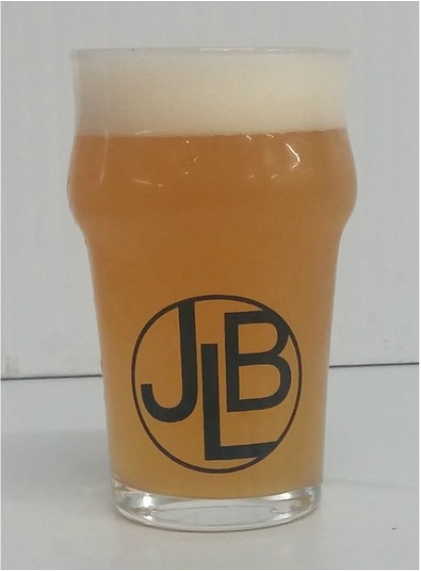 By combining White Wheat, 2-Row Pale and Caravienne malts with a continuous addition of Cashmere hops (1.5lbs per bbl from first wort to whirlpool) and then dry hopping the hell out of it with 1.5lbs per bbl of Green Bullet, we achieved a 5.3% ABV, 55 IBU wheat beer that is much more akin to 3Floyds Gumballhead than it is to Bluemoon. Guava, tropical fruit, zesty, grapefruity, creamy, fresh sunlight.